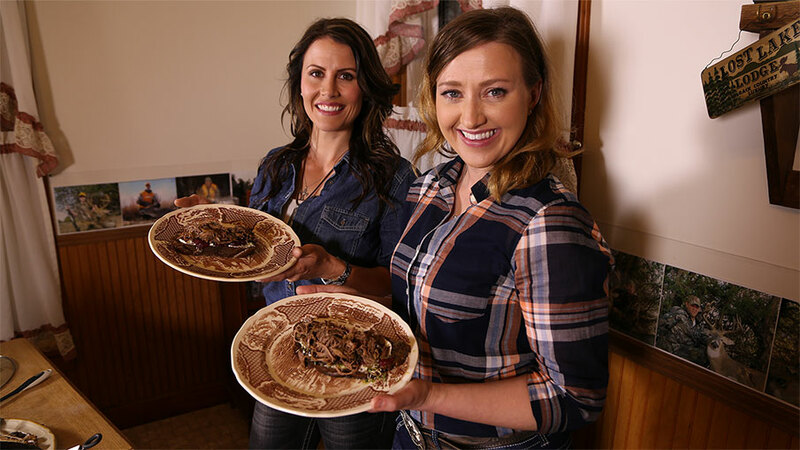 As seen on NRA All Access, this recipe uses classic Thanksgiving flavors and wild turkey legs in an easy open-faced sandwich. Add these to slow cooker. Pour in bottle of beer. Place turkey legs on top. Distribute salt, pepper and poultry season evenly. Cover slow cooker and cook on lowest setting for 4-6 hours. IMPORTANT: When fully cooked, carefully remove any bones from meat in slow cooker. Cut bread and toast if desired. Smear slices of bread liberally with cream cheese and cranberry sauce. Add layer of bean sprouts. Top with wild turkey and juices.